Stack Overflow is a really useful resource for developers; it’s great that there’s a site where almost every possible error message has been reported and nearly every “how do I… with framework…?” question has been asked. Even better is that most of those have been answered, and answered well. What’s less good is how unfriendly the community can be to new members, so it’s brilliant to see the people who run the site admitting that they’ve made mistakes and setting out concrete plans for how they plan to address those problems. The maintainers of other social community websites should take note. 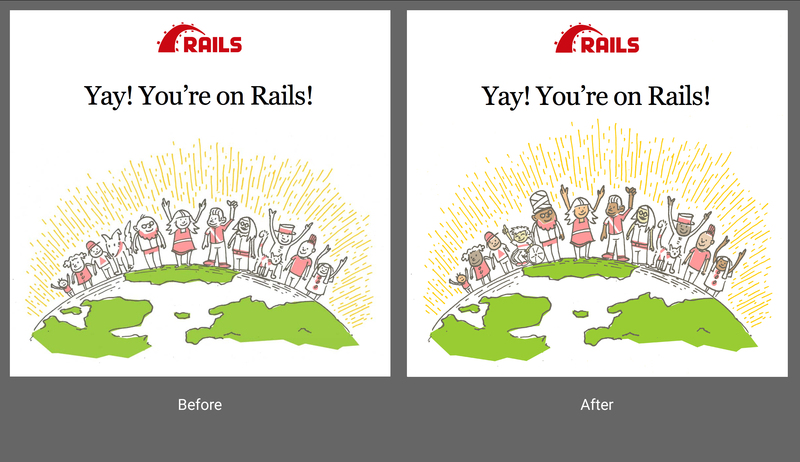 It might seem like a small detail but the welcome screen of Rails has been updated to represent the diversity of the Rails community. https://user-images.githubusercontent.com/121535/39332868-68656c92-496e-11e8-9d74-dab79dfaa72e.jpg. Rails is also cat friendly but dogs are now persona non grata. One outcome of last week’s Ruby Together drama has been a commitment to increased transparency around it’s board and part of that is a new GitHub repo with documents and an issue tracker - there’s a good set of initial issues by Gregory Brown which covers a lot of what caused the drama in the first place. Pretty easy to follow guide to how to behave when you pair program. Turns out you can teach a machine learning algorithm to predict chaotic changes to a much higher degree than a human can. It’s the coolest track by the coolest hipsters you’ll ever hear.